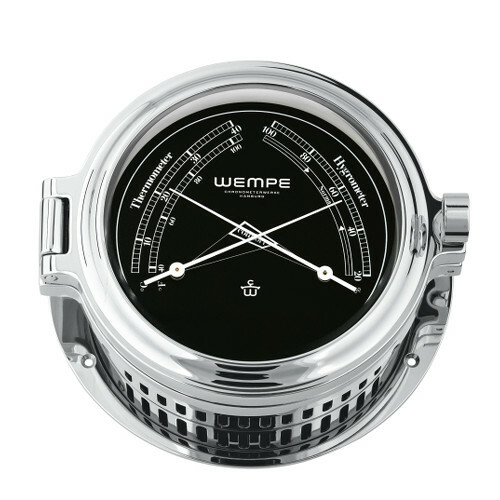 Wempe's exclusive Port Hole series is available with high-gloss or chrome-plated solid brass cases. 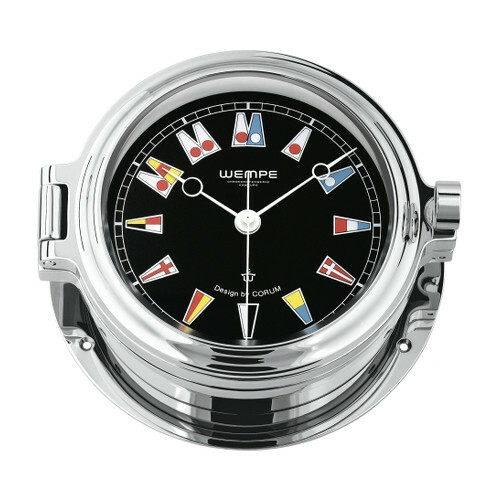 The dial of the quartz clock is available either with Roman numerals or with nautical flags in "Design by CORUM." 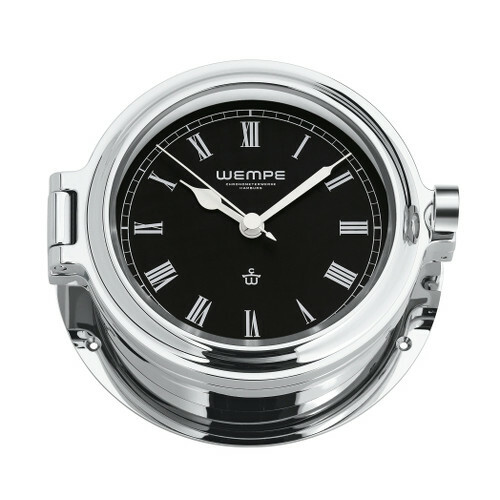 A convenient twist-lock closure on all models makes it easy to set the time, change the batteries, or readjust the instruments. 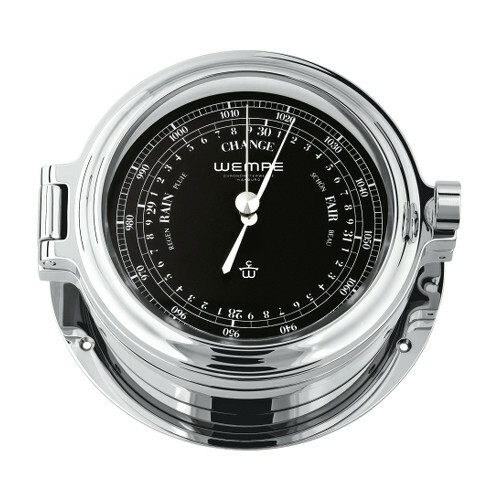 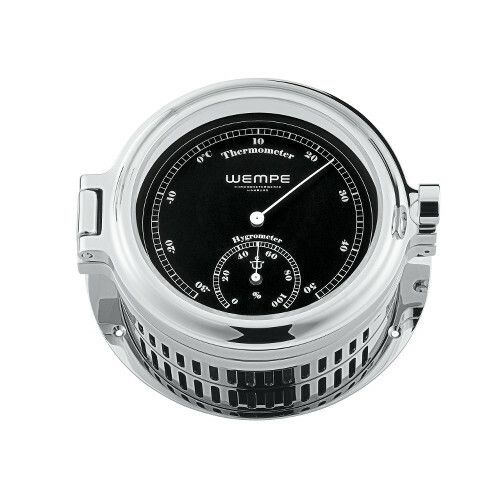 You can buy Wempe nautical instruments here.